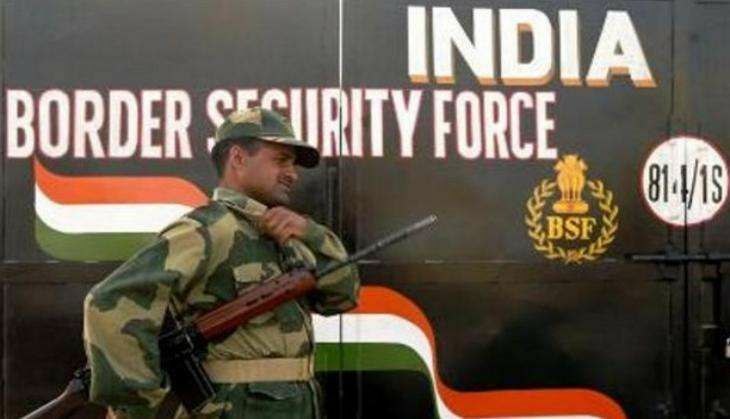 Pakistani border guarding force, with the active connivance of its Army, has resorted to heavy mortal shelling deliberately towards Indian civilian areas along the International Border, Inspector General of BSF D K Upadhyay said today. Addressing a press conference, Upadhyay said the Pakistan Army is giving full support to Pakistan Rangers, which has violated ceasefire "countless" times in recent past. "Pakistani forces are firing heavy mortars deliberately towards Indian civilian areas. BSF never fires towards any Pakistani civilian area. We fire only towards military bunkers from where Pakistani forces fire. We have inflicted heavy damage on 14 Pakistani bunkers," he said. Upadhyay said if there was any civilian casualty in the Pakistani side, it was because the civilian population lives very close to the military bunkers and that might have resulted in "collateral" damage. In an escalation of tension along the border, eight people, including two children and four women, were killed and 22 injured on Tuesday as Pakistani troops targeted civilian areas in Jammu region inviting strong retaliation by Indian forces who killed two Pakistani soldiers and destroyed 14 of their posts. In view of increased shelling and firing by Pakistan, Jammu and Kashmir government has ordered closure of all the 400 schools along the International Border (IB) and Line of Control (LoC). With cross-border firing escalating, Home Minister Rajnath Singh reviewed the situation at a meeting in Delhi which was attended by Defence Minister Manohar Parrikar, National Security Advisor Ajit Doval, Army Chief General Dalbir Singh Suhag and other top officials. Tension along the IB and LOC escalated since the surgical strikes by army targeting terror launch pads in Pakistan-occupied Kashmir (PoK) on 29 September.